Saw benches with great stability for industrial and agricultural use! Very stable and strong, with a unique and innovative design. Exceptional performance and cutting speed. The side log feed (optional on the ECO model) makes the discharging and any future combination with conveyor belt (Tandem) easier. 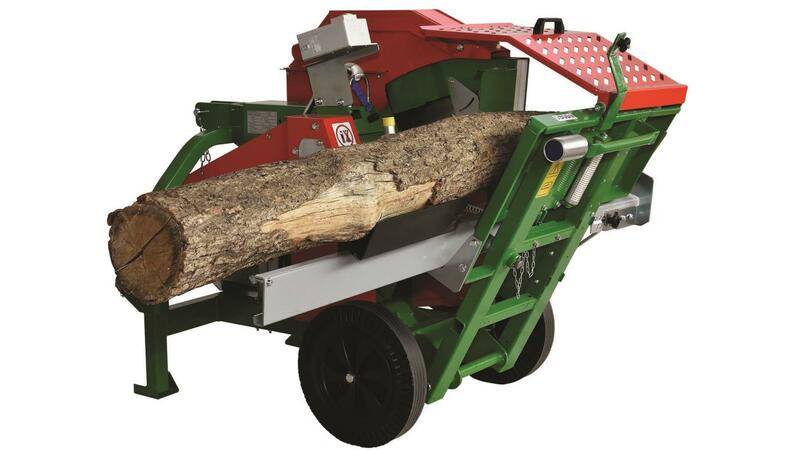 The side log feed mounted on ball bearings makes the sliding operation of the logs to be cut easier. 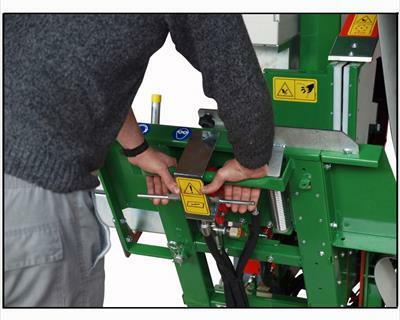 On the ECO model the side log feed extension rotates and allows sliding operation of the logs to be cut. The anchor fulcrum of the balancing trestle is fixed onto unbreakable self-lubricating DU bushings. 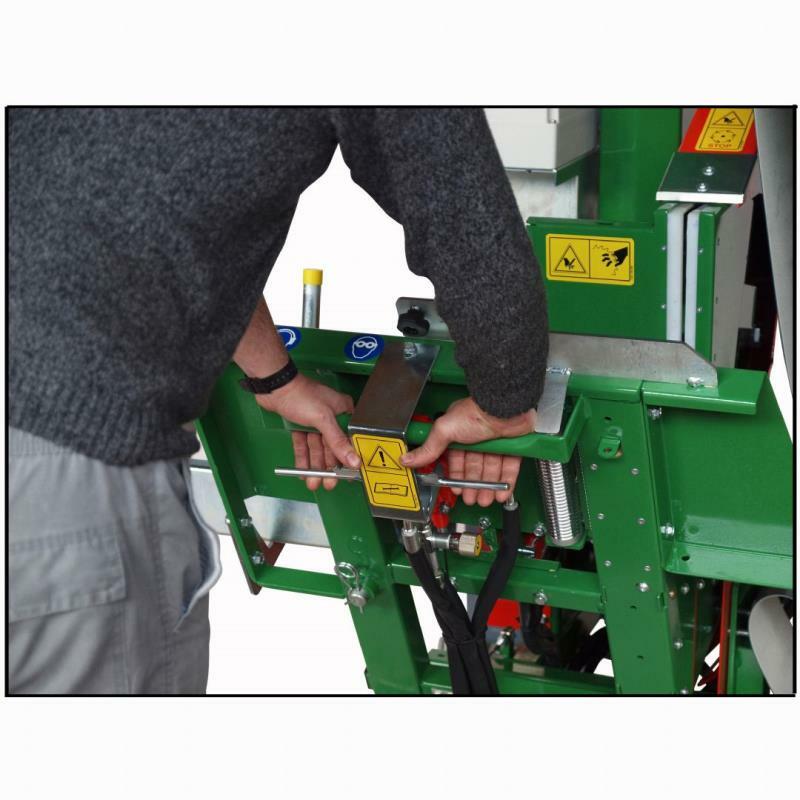 The cutting blade is laterally protected with Ertalon guides. The semi-full 400 dia. wheels or the 400 dia. pneumatic wheels (optional) ease the moving and transport operations. All models are equipped with 3-point-connector 1st – 2nd cat.